Logging mallets were especially suited to haul heavy trains out of the immediate forestry areas. Geared locomotives pulled the logs out of the woods over, usually temporary, feeder lines. At first these feeder lines ended at the saw mills or a river. As the forest withdrew from the river the ever growing distance travelled by the strong but slow geared locomotives became an obstacle for productivity. Necessity arose to make a faster connection. So more permanent railroads were laid and logging mallets were employed. Though still relatively slow they were twice as fast as the geared locomotives. 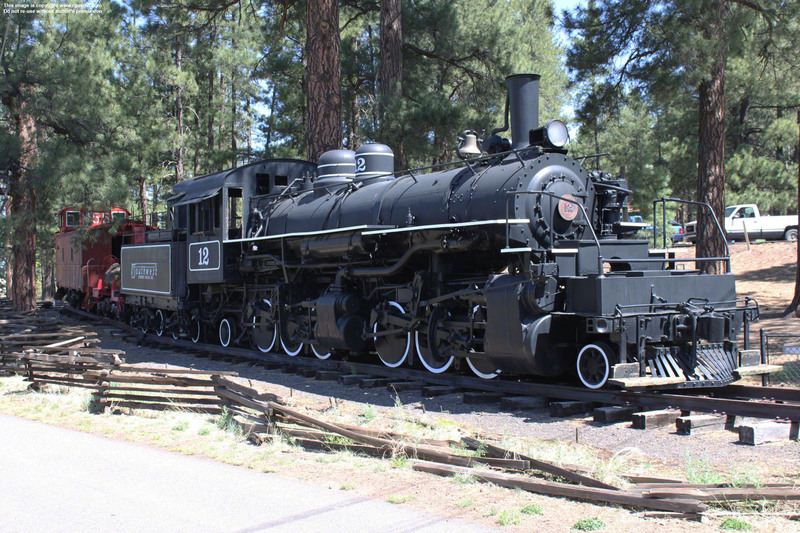 A preserved example of a 2-6-6-2 logging mallet, South West Lumber Mills #12 is seen here on display at the Arizona Historical Society's Pioneer Museum on Nth Fort Valley Rd in Flagstaff. Logging mallets came in many forms and wheel arrangements. 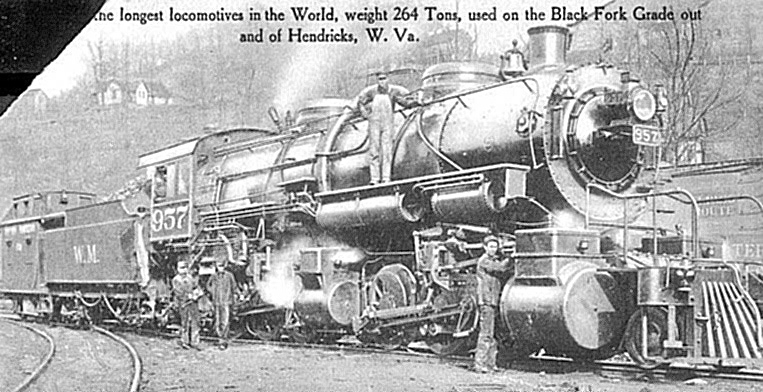 Large orders of identical engines were rare in this type of industry. Like Shays there were rarely two the same. I bought this Mantua mallet via eBay for just £99 plus some negligeable shipping charges. As it was shipped from within the European trade zone no import duties were due. Trader was yewgreen1 and he responded excellently to my communication and shipping was swift and the loco was amply protected. Well done, Keith! Mantua does not exactly produce state of the art models, but neither does it charge a state of the art price, so hey little to complain about. The recent reworking of this model has done wonders. The model runs pretty well and the basic depiction is good. The version I bought is a depiction with the Western & Maryland roadname. I doubt if it ever existed. There was a W&M 955 which actually was a 2-6-6-2 Mallet but that is about all they had in common. The real thing W&M 955 was of the M1a class, a radically different beast. The stack is a bit rough. Some sanding a bit of black spray will help that. Though a reasonable depiction of the valve gear, the rods could use a little blackening. The middle driver is prototypically flangeless. Good, crisp lettering. The unsharpness of the logo is a result of my camera setting more than Mantua's work. Very clever is the pin-socket connection which also couples the locomotive to the tender. No fussing with wacky tiny connectors. The wiring and soldering connection could do with a bit of blackening. Nothing much really. This final two photos reveal one real strong point of this mallet model. The front driver unit swings out prototypically and the rear driver set is prototypically fixed to the main of the locomotive, resulting in the real mallet effect. Very, very good. Most mass products have both units movable like bogies, which is absolutely unprototypical.